Who needs to buy cement when poop is plentiful & free! 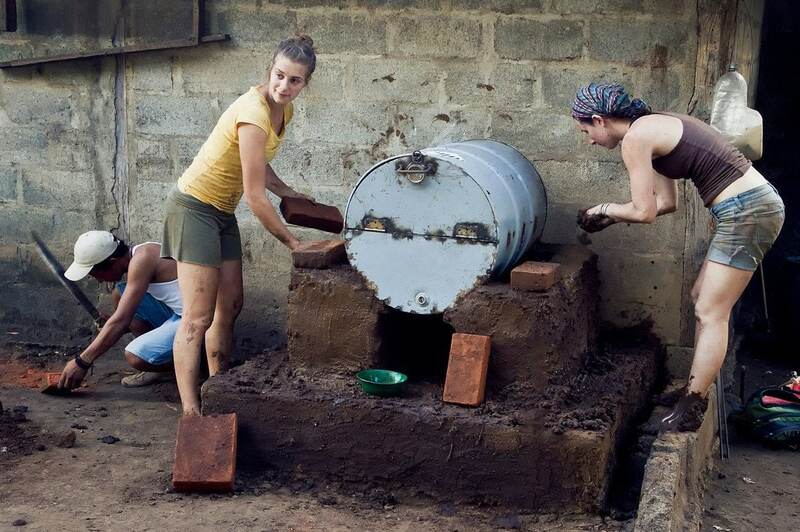 My first stop in Nicaragua was volunteering in the village of El Hatillo, building an oven out of manure. Danielle Costanza is a Peace Corp volunteer in Nicaragua. She invited me to help her and some friends from Traveling Tradesmen with a few volunteer projects while I was passing through the country. But before I could start, my first challenge was getting into the tiny town of El Hatillo (population 400) way out in the Nicaraguan countryside. Everyone gets around by horseback in El Hatillo, the road is usually too rough for buses and vans. To start the journey I jumped on a local chicken bus (public transportation) for about 20 minutes. When I got off, it was time to start walking down a dirt road through ankle-deep dust for 30 minutes. The path was full of people and horses going about their daily business. Luckily, halfway into my dusty hike, the town’s engineer saw me as he rode by on his dirtbike. I jumped on with him and we sped on to meet the rest of the volunteers who had already begun working. The project was to build inexpensive wood-fire cooking ovens for local families at this pretty remote village in the countryside. The ovens provide an efficient way for people to cook for themselves, or to start a small business by cooking on a larger scale and selling to others. Each outdoor oven costs about $60 US to build. 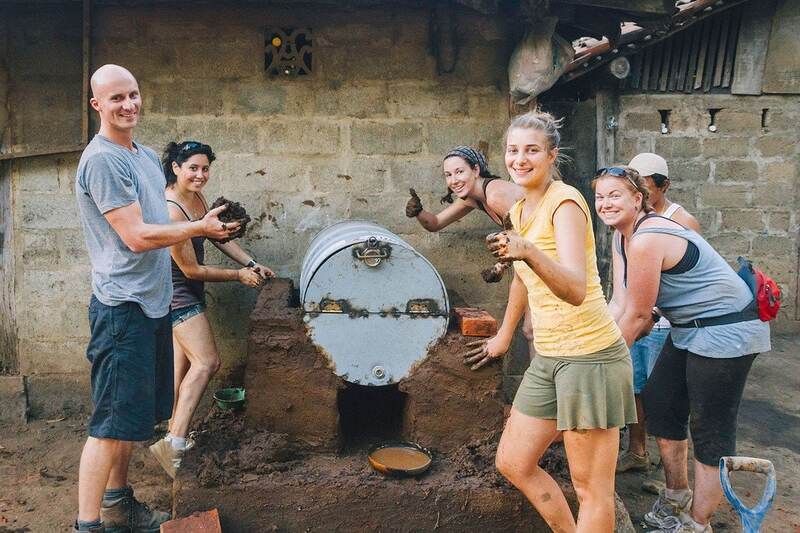 Local families pay for the materials themselves, then the oven will get built for free by volunteers like us. 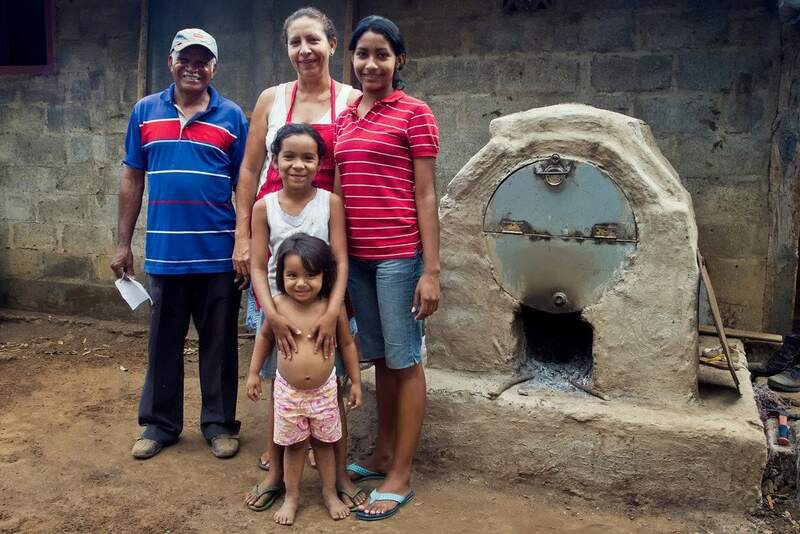 There is no electricity yet in El Hatillo, so these are the first real cooking ovens these families have ever owned. The traditional method has been to use campfires inside the home. Having an open fire inside the house is not the cleanest, safest, or healthiest way to cook, so the ovens we build will provide a better alternative. The ovens are made from bricks, a 55 gallon steel drum, and mortar made primarily from manure. 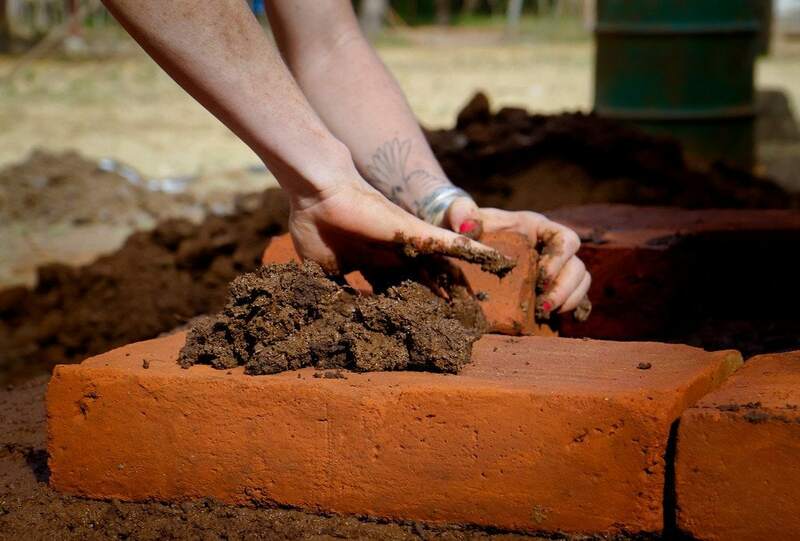 Animal poop is much cheaper to use than cement, and works surprising well! Plus there is a healthy supply of it in a farming community like this. A special mixture of dirt, horse manure, water, and sap from the Pitaya Cactus is combined to create the natural mortar. You’re gonna get a little messy mixing wet poop with your feet and applying it with your hands! Some people in the volunteer group had a harder time with this than others… but in the end everyone got down and dirty. There was even a short poop-ball fight. Handfulls of poop were flying in all directions! To cook with the new ovens, you stoke a fire in the space under the steel drum. This heats up the inside of the drum and cooks the food. Simple, no? The ovens are not only useful for cooking meals though, they also provide a way for local women to get out of the house and socialize with each other. Boys tend to enjoy helping their mothers prepare food with the oven as well, which breaks up some of the strong local male/female stereotypes prevalent in Nicaragua. Despite popular opinion, men can cook too! The whole poop-oven building process takes about 2 days. Once it’s completed, families cover the oven with a fine layer of white ash to make it pretty and hide the brown poop color. When we were finished, we were able to eat a large homemade pizza cooked in one of the poop ovens! Absolutely delicious. Poop oven pizza is highly recommended. Spending a few days working with volunteers and local families to build this oven was very emotionally rewarding for me. The work was fun and we helped honest & hardworking people improve their living situation. 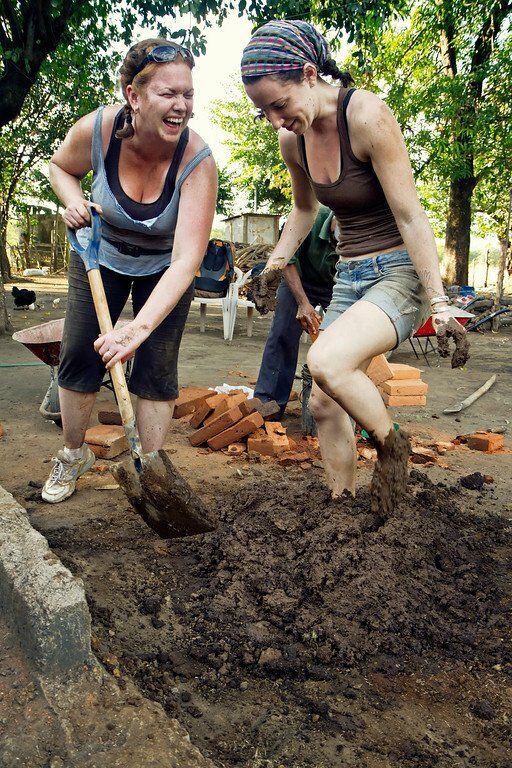 Do you enjoy volunteering while traveling?